How to Efficiently Remove Vista Password? Setting a password for your Windows log-on might be a good idea if you have multiple users on a single computer. So that you will never worry about your documents and privacy data spied. But the chances are that you forgot your password, or the password expired, those kinds of conditions may be a disaster for you in the past. That means you may need to reinstall the system and lose some data. However, it is just a piece of cake if you follow the steps below on how to remove Windows Vista password. Scenario 1: You forgot the password when you recently set a new administrator password. Scenario 2: You type the correct logon password, but the system does not accept it because of corruption. Scenario 3: You delete a protected administrator account. Now, you can’t log on to another administrator account. Scenario 4: You change a protected administrator account to a standard user account. Now, you can’t access to another administrator account. Step 1: Insert the Windows Vista DVD, and then restart the computer. Step 2: Press any key when you receive the message “Press any key to boot from CD or DVD”. Step 3: Specify the preferences for “Language to install”, “Time and currency format”, “Keyboard or input method”. Step 4: Click “Repair your computer”, and select the operating system, and then click “Next”. Step 5: Click “System Restore” and then click “Next”. Step 6: Click the restore point that you want to use, and then click “Next”. Step 7: Specify the disks you want to restore and click “Next”. Step 8: Click “Finish” and then click “Yes”. Step 9: when the system Restore process is completed, restart the computer by clicking “Restart”. 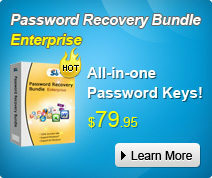 Step 10: After you access to the system, go to the “Control Pane” to reset or remove Vista password. Frankly speaking, the way I recommend above is not widely used for the Vista users because that requires some basic computer knowledge. What’s more, after you use the System Restore feature, reinstall any programs or updates that may be removed. You will not lose any personal documents. However, you may have to reinstall programs. You may also have to reset some personal settings. Therefore, the best way to remove Vista password is using Vista Password Removing software. Read the following steps to learn how to operate it. Step 1: Here we need another computer to burn password reset disk. Insert a blank CD on this PC, and launch Vista Password Cracker. Step 2: Select “reset Windows local account password”, and tick “CD/DVD” and choose your target device. Step 3: Click “burn” to start burning Windows Vista password reset disk. Step 4: With CD, boot the computer for which you lost the log-in password. And then choose the system you would like to reset password. Step 5: Highlight the target account, and click “Reset”. According to the wizard, reset the password. The last step you need to do is to reboot your PC to finish the reset. I highly recommend you choose method 2 to remove Windows Vista password. Even though you forget Windows Vista password and are completely locked out of your Vista computer, you can easily and safely remove the forgotten Vista password and log on your computer again. Good Luck!